As winter draws in and the light days become shorter, it’s an ideal time to have your Porsche checked ready for the harsh winter weather. 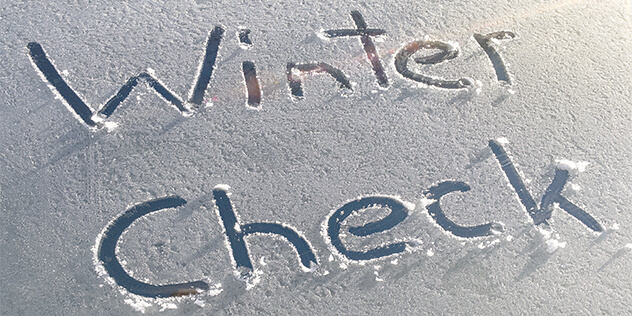 Our Porsche winter checklist is a must to follow and includes a step-by-step guide ensuring both yourself and your car are safe. For those of you who do not wish to drive your Porsche during winter, we have devised our top tips during hibernation season. Your Porsche is possibly one of your most prized possessions; ensure you take good care of it this winter. There are simple and easy steps to maintain safety for yourself and others in the car. We encourage you to have a winter service at places such as Porsche specialist in Buckingham, this way anything that could possible go wrong with your car can be picked up on before causing serious damage. Ensure your Porsche has its air conditioning checked during the cold winter months. Maintaining the air conditioning enables the car to clear the condensation from the windows. Consider having a biological clean and treatment where any bugs and bacteria are cleansed from the system saving you from flu-like symptoms. This will also prevent corrosion of the air conditioning over the winter. Winter tyres can help reduce your braking distance on a wet road by approximately 12%. By having seasonal tyres, it offers you more traction on the road, and wider tyres ensure your Porsche sticks to the road in the cold icy winter months. Ensure you check all lights, levels and tyres monthly. It’s important to check your tyre pressure throughout the winter even if you have winter tyres; this will prevent your tyres from popping or going flat. Having your brakes checked will guarantee optimum safety and will put your mind at ease. It is also advised that during the winter months to not brake as hard as you normally would. With cold icy roads, you’ll need to brake carefully and accelerate gently. Make sure to have the underneath of your car checked before winter to ensure no damage will affect the drive of your Porsche, eliminating any risk to the car. Anti freeze is a big must during the winter months; you might want to take the opportunity to look at how much coolant your car currently has. You may want to potentially have the coolant flushed and cleaned with fresh anti-freeze. When there is salt on the road, it can cause damage to your car. It makes the car extremely dirty and cost you a lot of time cleaning the car after every journey. It can also rust the cars quicker than when the car is wet and old. Be gentle when washing away the salt, using a power washer can add risk of embedding salt and grit into the paintwork. Keep your Porsche connected to a battery charger, the last thing you want is to do is try start the car after your winter hibernation and it not start. The last thing you want after having your Porsche in storage all winter is to get it out ready to drive and notice its been rusting. Give your car a deep clean, protecting both the roof and paintwork will help maintain your Porsche and keep it in pristine condition. Keeping the car dry during winter months will prevent the car from becoming damp and creating damage to upholstery. Products such as DampRid absorb any water or moisture that may be building up in the car. Make sure you fill your tank up as full as possible. A full tank will help the car from receiving any unwanted condensation or water build up when the car us sitting for long periods of time. Keep your breaks in working order during the winter by keeping them dry. If you wish to take your car out for a short drive in the winter make sure to dry the breaks out when going back into hibernation. If this step isn’t done then you Porsche could potentially have corrosion. Protecting the car from damp and frost during the winter months can sometimes be difficult. Purchasing a good car cover will help to prevent any water saturation in the car. Having a car cover will also prevent the car from collecting any dust. Storm Car Covers are suitable for both indoor and outdoor coverage. They offer breathable fabrics to allow any moisture and damp collected in the car escape, helping prevent corrosion. All covers are also covered full 2-year manufacturers warranty. Winter is one of the most demanding seasons for any performance car, so ensuring your vehicle is kept in good condition can improve the safety of passengers and car. Following this step-by-step will ensure your car is performing at its best during the winter months or hibernating in perfect conditions. If considering driving your car during the winter months, ensure your car has a winter service by a Porsche registered garage. Having the right tyres and fluids in the car can affect the drive and improve performance. Due to high amounts of salt on the roads during the winter months, you will need to wash your car carefully. Make sure not to damage the paintwork with a power washer and take time to clean every part of the car. Cars going into hibernation will need to be kept covered at all times, to prevent corrosion. Reducing the risk of rusting will be a priority on your list during the cold seasons. Cleaning the car properly and drying the car will prevent any form of rust forming, keeping your car pristine for when you want to bring it out in the summer months. Car Dealers Directory – UK car dealers and car dealerships.